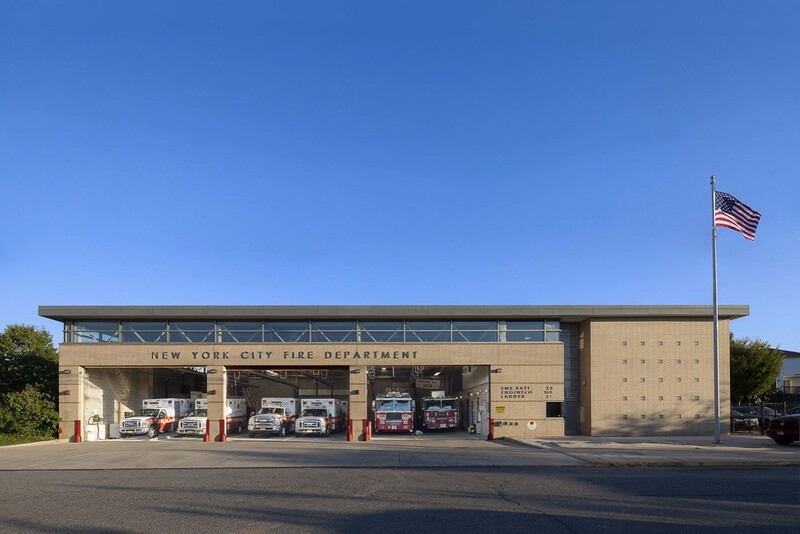 Serving a rapidly growing area of Staten Island, this building was the first new fire house to be built after 9/11 and symbolizes New York City’s commitment to providing the highest quality facilities for its exemplary emergency responders. The compact and highly efficient plan was designed to allow firefighters to respond as quickly as possible. Support spaces wrap around the apparatus bays to minimize the time needed to get to the vehicles. 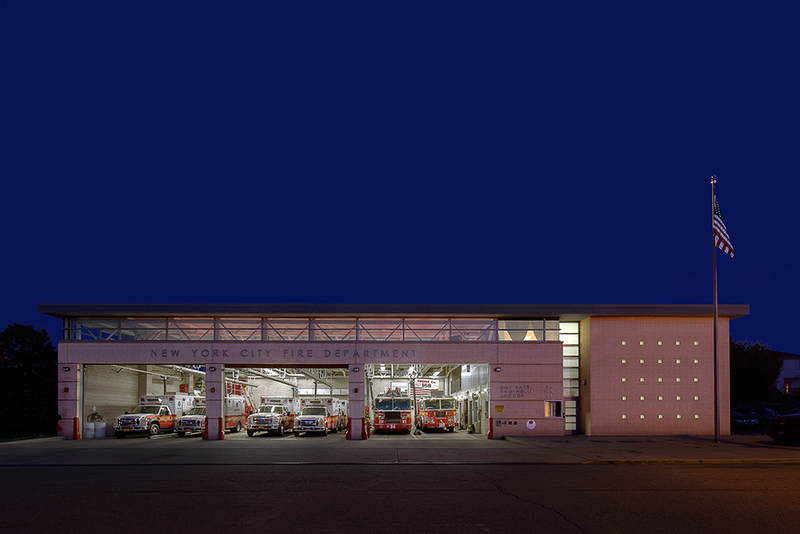 The double height apparatus bays have large clerestory windows that reduce energy consumption by bringing in lots of diffuse natural light, while keeping out any direct sunlight that could fade the red paint of the vehicles. Strong massing and crisp, clean lines express both the functional and civic character of the first building to house both Fire Department and EMS services. Conceived and executed on an accelerated schedule, we drew on our twenty years’ experience working with City agencies to get this prototype station built in just 15 months.